Due to highly publicized incidents across the globe, the fear of crime and terrorism is driving demand for comprehensive security solutions. Security systems are now viewed as a necessity rather than a precautionary measure. Federal, state, and local government agencies are being challenged to increase the security of facilities and infrastructure within their jurisdiction. Transportation agencies need to insure the safe and smooth operation of their infrastructure and to respond quickly to problems as they occur. The ability to monitor highways, airports, rail, and shipping facilities has never been more important. Companies who wish to protect property, as well as, monitor assets and processes have an increasing need for real-time live streaming video feeds. Traditional security and surveillance techniques have proven woefully inadequate at fulfilling the requirements of increasingly more sophisticated and demanding users or to scale to the capacity required for large and complex deployments. Comprehensive surveillance & security solutions can be extremely complex and requirements may vary drastically from site to site even within the same project. An increasing number of clients are now demanding systems that require the tightly coupled integration of desperate technologies such as, biometrics, video analytics, discrete sensors and actuators, access control, RF-ID, VOIP, HVAC and other critical systems. An evolutionary approach to the way security management is perceived and practiced. In almost every large scale security and public safety program, the physical, cyber, and IT security organizations operate independently of each other. They are generally unaware of the strengths and weaknesses of each other's practices, the liabilities of operating independently, and the benefits of integrated security management. It is of no use if the security system detects an intrusion and the IT infrastructure cannot deliver the alert adequately or if policy cannot be automated to control the response (voice, escalation, force dispatch, etc). 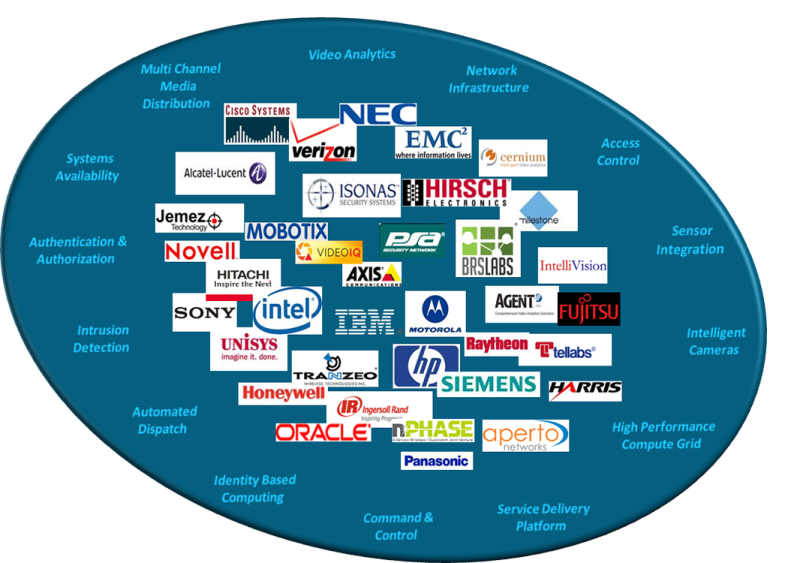 Convergence of the IT, Security, Telecom, and Multi-Media industries and convergence within industries adds to the complexity of a Comprehensive Security & Public Safety deployment. Interoperability of technologies where standards are slow in coming can also be a major challenge. 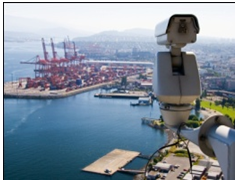 Comprehensive surveillance & security solutions can be extremely complex. The security industry has slowly moved away from proprietary designs and communication protocols to IP-based, network-centric, open-protocol solutions. To achieve a comprehensive "Best of Class" solution, emphasis must be placed on the integration of desperate technologies. 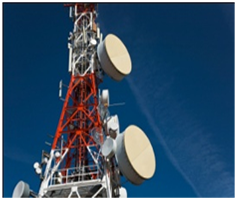 Zotera will leverage key industry alliances to provide a "Best of Class" turn-key solution. Zotera along with its strategic partners can provide robust infrastructures capable of large-scale surveillance & security deployments. Zotera's solutions are designed to anticipate and mitigate strategic risks, and counter threats that impact mission-critical infrastructure. Zotera helps clients to develop a strategic approach to maintaining operational readiness, even in the wake of catastrophic events, by integrating physical, cyber, and personnel security with contingency planning and developing security policy. Zotera provides "State-of-the-Art" designs based on a suite of technologies dedicated to enabling the delivery of high-quality video surveillance content over any network, to any device, at any location. Our approach to scalability, performance, and high availability affords a unique ability to implement very large scale deployments. 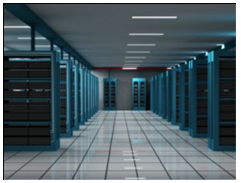 A turn-key solution may include the engineering of a reliable and security-rich 24x7x365 Data Center to host the computational power, storage, and applications necessary to support a large-scale surveillance deployments. 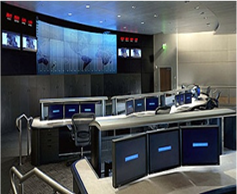 Zotera provides Command & Data Center planning, design, integration, and implementation as well as a Remote Surveillance Command & Control Center capable of watching thousands of locations. Historically, the common approach for detecting intrusions over large perimeters has been to use a blind sensor, such as coax or fiber on the fence, acting as an activity detector, augmented by a camera to help security guards determine the cause of the alert. The drawback to such an approach is that these sensors can generate many nuisance alerts, diminishing reliability, while the costs for deploying and maintaining two separate systems--a sensor and a video system--can quickly escalate. Zotera's use of thermal cameras with video analytics provide substantial advantages, increasing the probability of intruder detection while greatly reducing the nuisance alarms that have plagued automated perimeter systems in the past. Thermal cameras can also create virtual barriers along open areas that surround a building or an asset to prevent insider theft where physical or man-made boundaries are unlikely to exist. Thermal cameras can amplify small differences between the temperature of a person and the background, accurately detecting intruders even in less than ideal conditions. They will ignore headlights, reflections off water or other lighting issues that cause false detections with visible light cameras. Because they can detect in complete dark, bright sunlight or poor weather, smart thermal cameras can be counted on to secure outdoor areas 24/7. The alerts smart thermal cameras generate are accurate and will drive focused attention when an intrusion occurs. The Zotera Insight Platform incorporates audible communications so an intruder who has triggered an alarm can be requested to identify who they are. All those authorized to have access can be given a unique access code to enter on their phones, which can also be supplemented by an audio password. The access accountability of codes and/or passwords generates a complete log of who enters and exits the area--satisfying the physical security aspects of regulator Critical Infrastructure Protection requirements.